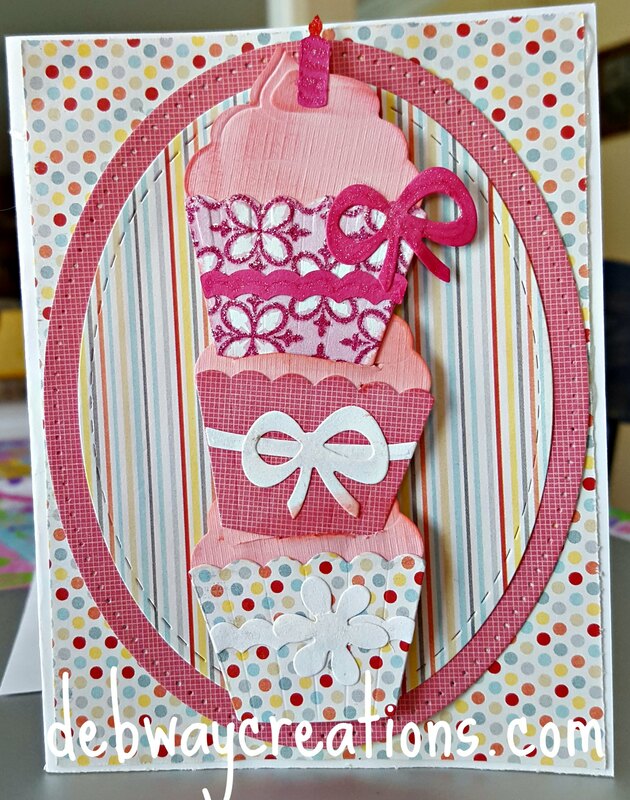 I made this stacked cupcake birthday card using the cupcake die from Elizabeth Craft Designs. 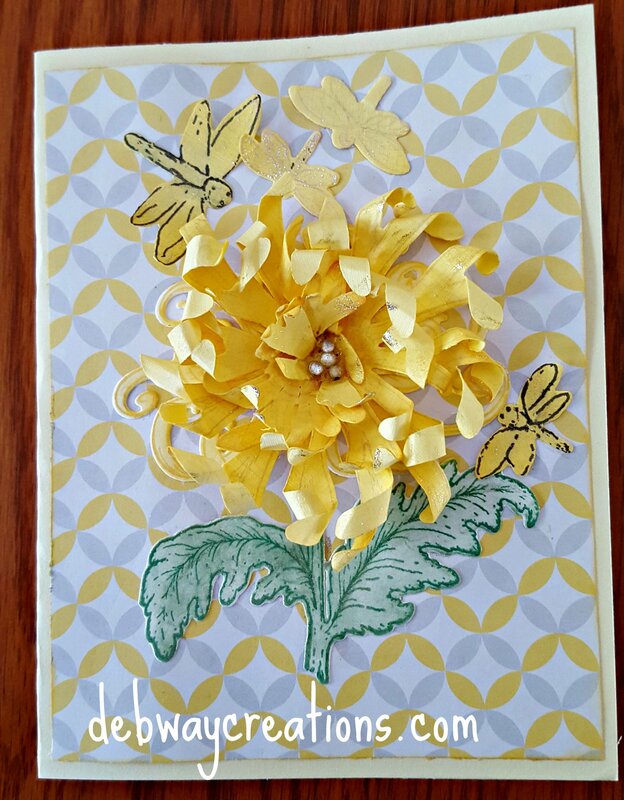 I was inspired by Jackeline Hernandez’s card. 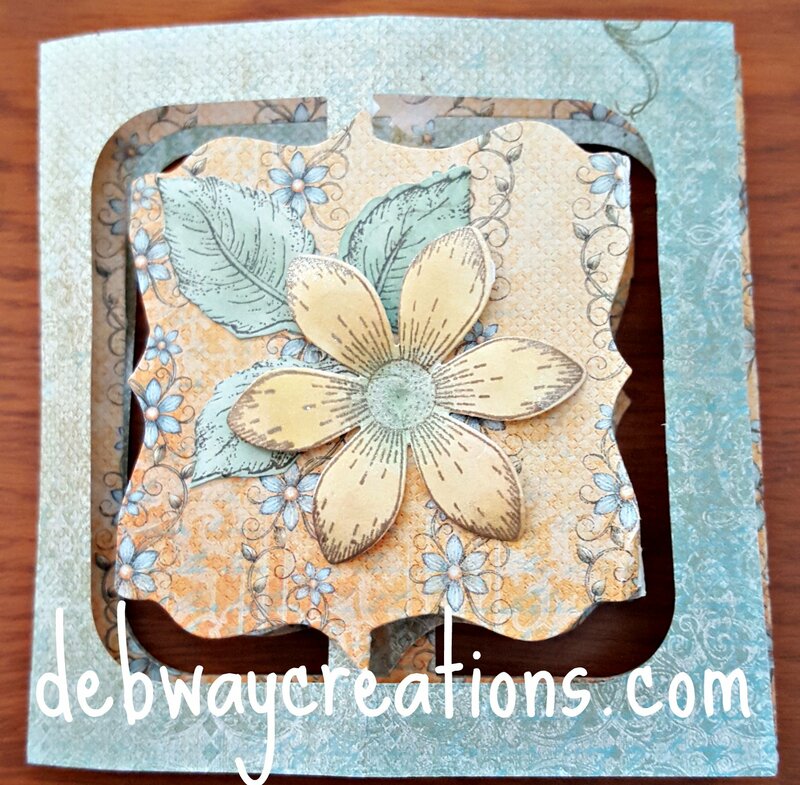 The stitched oval dies are also from Elizabeth Craft Designs. I slit the bottom two cupcakes so I could slide the cupcakes into each other. 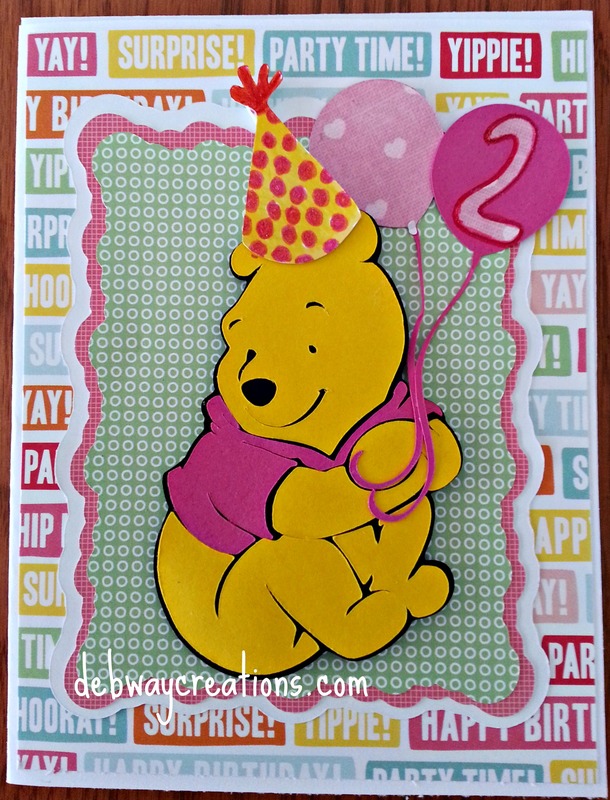 I also used pop dots to give the card added dimension. 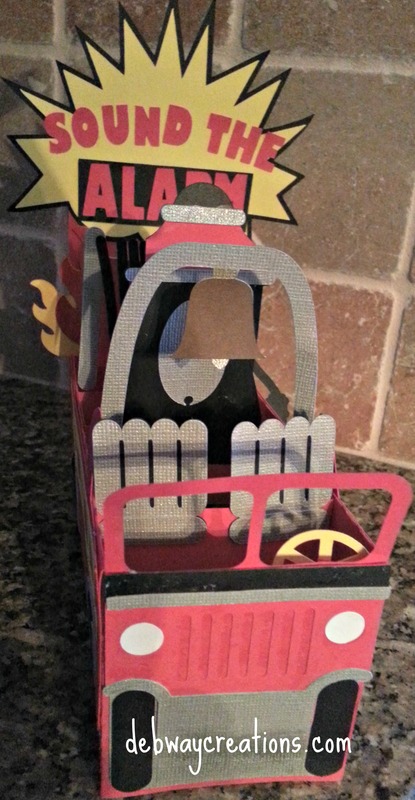 I hope my great-niece likes it. 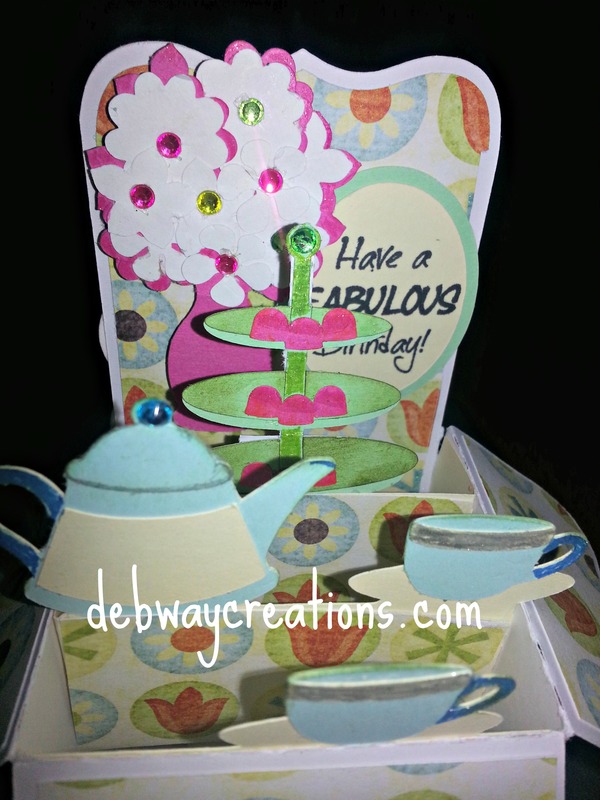 I love the Heartfelt Creations stamps, dies and paper. 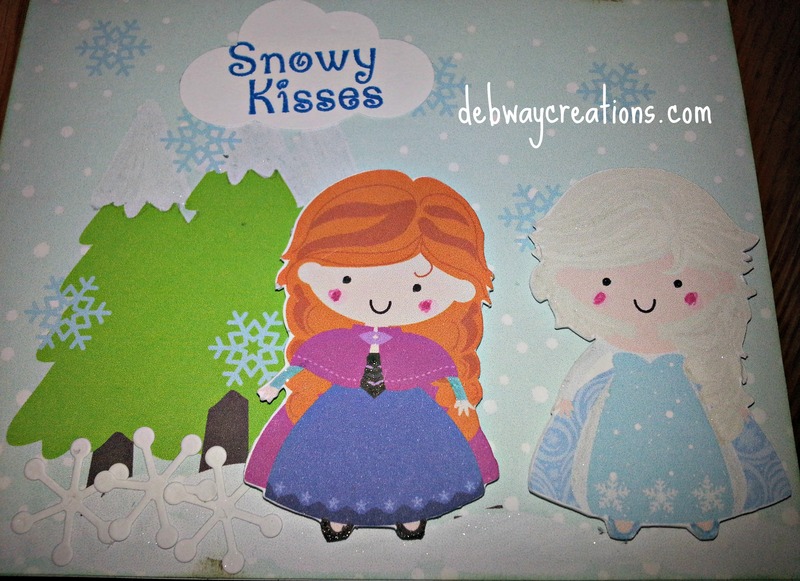 Here are some cards I made using their products. 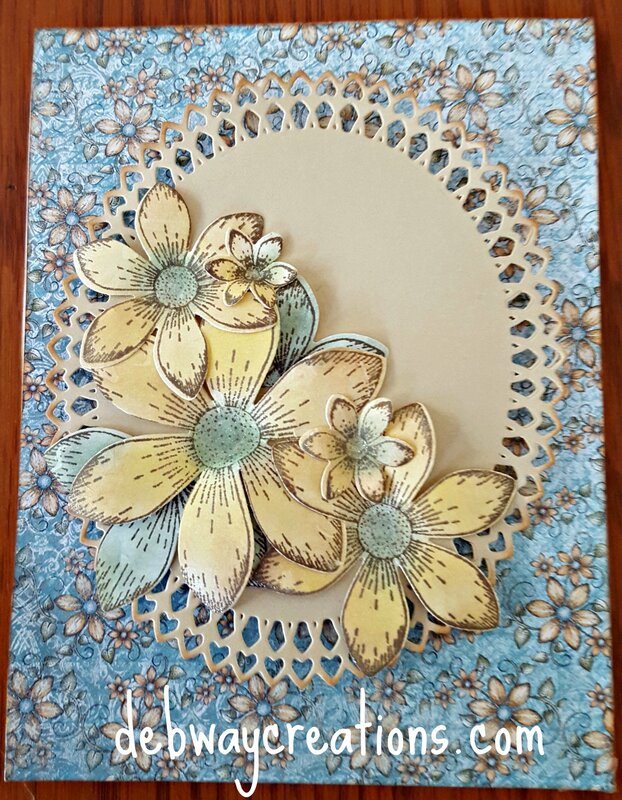 Here’s a birthday card I made using Heartfelt Creations Sun Kissed Fleur paper, stamps and dies and Karen Burniston’s Pivot Accordion card die. 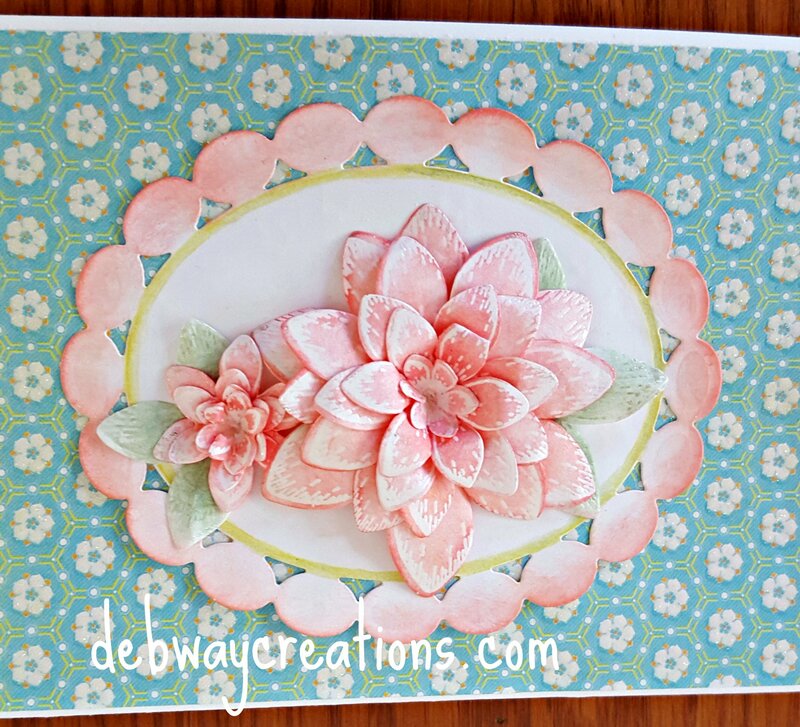 Love the colors in the Sun Kissed Fleur paper pack and the flowers are easy to color and form. I watched a video on how to put the pivot card together and it really made it easy. 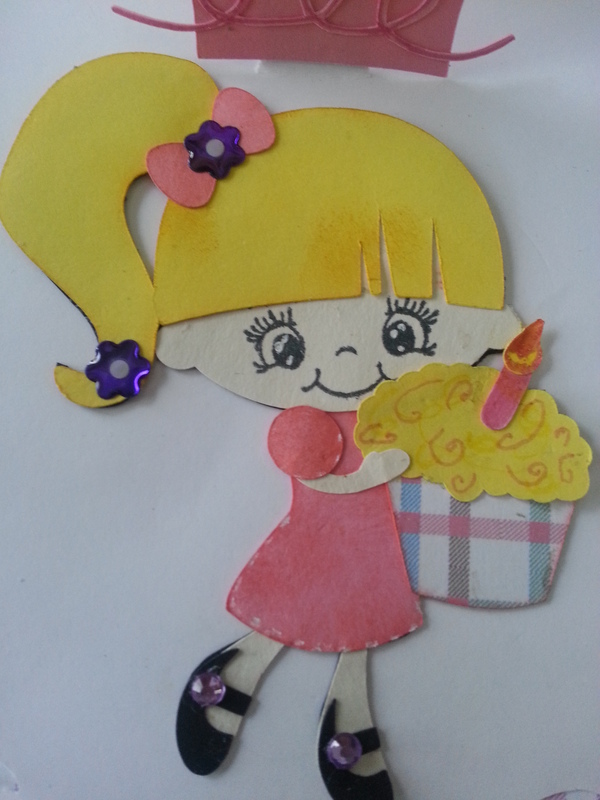 Hope you like the card. 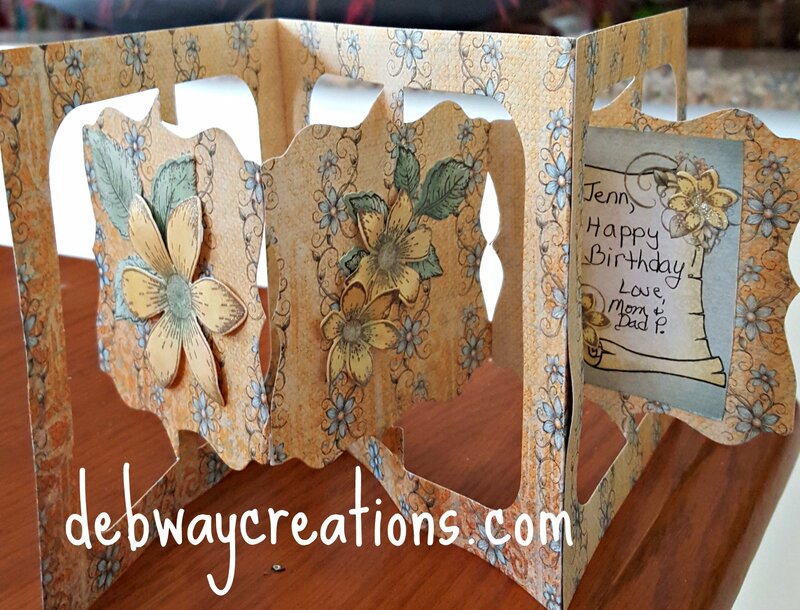 The first picture is the card folded flat. 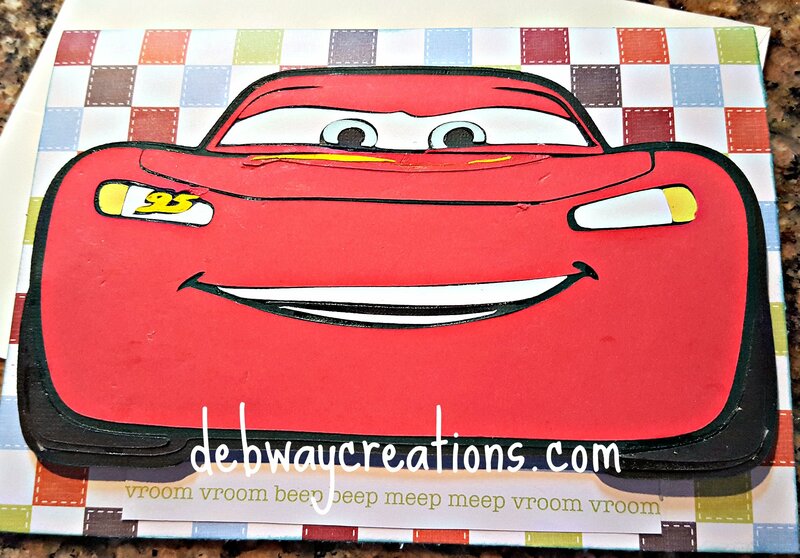 Today I made two Disney/Pixar Cars birthday cards using the Cricut cartridge. 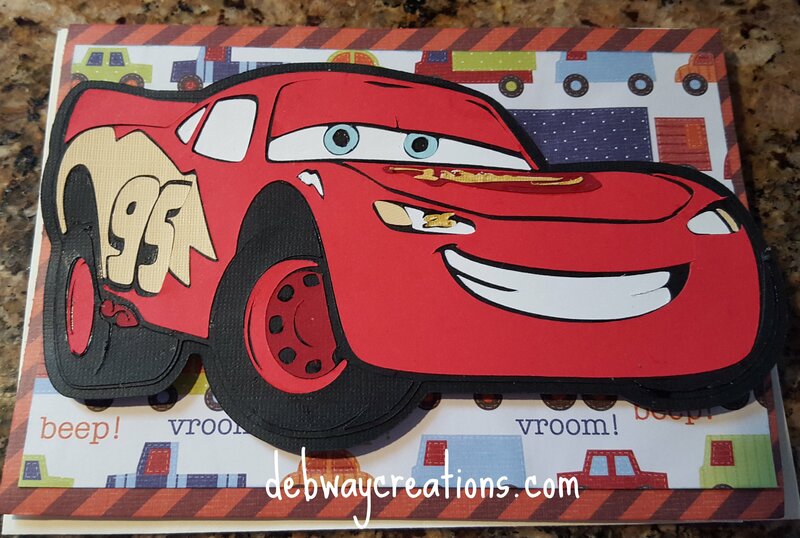 My grandson is turning 3 this week and wants a Cars birthday party. He loves the movie and playing with the little cars and trucks. Of course Lightning Mc Queen is his favorite. 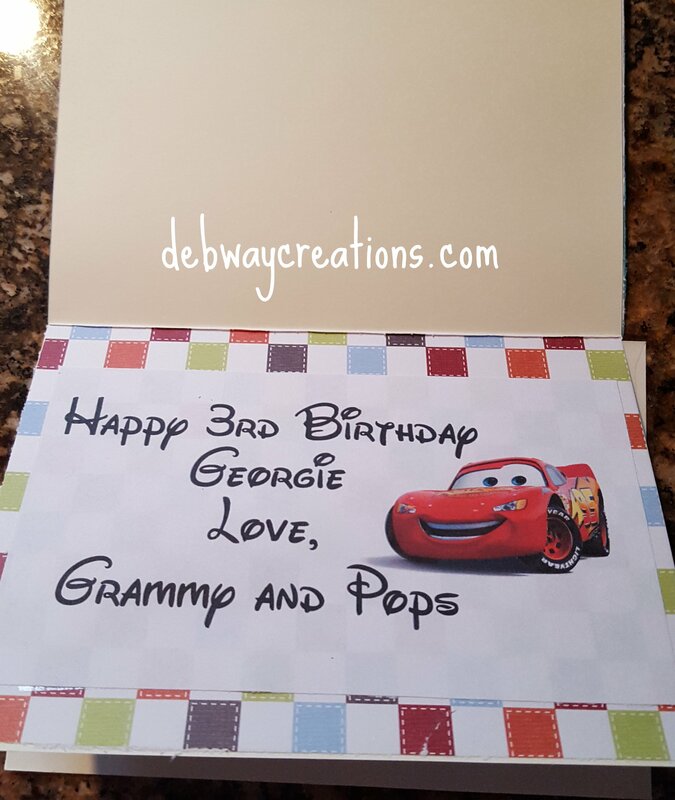 I made two cards, one to mail for his actual birthday and one to give him at his party. 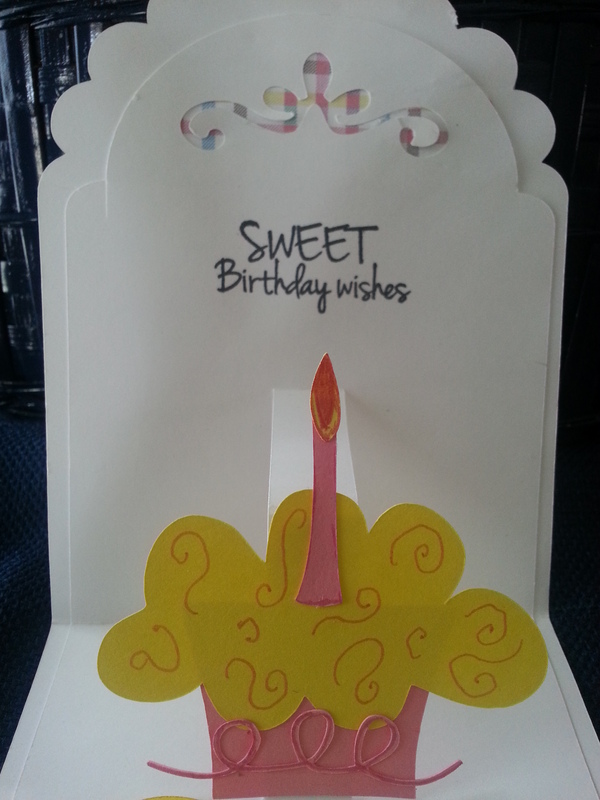 The cards are both 5×7. I am glad I have the cartridge and book to see how this car goes together. It is a little tricky. Once I made the first, the second was a lot easier. 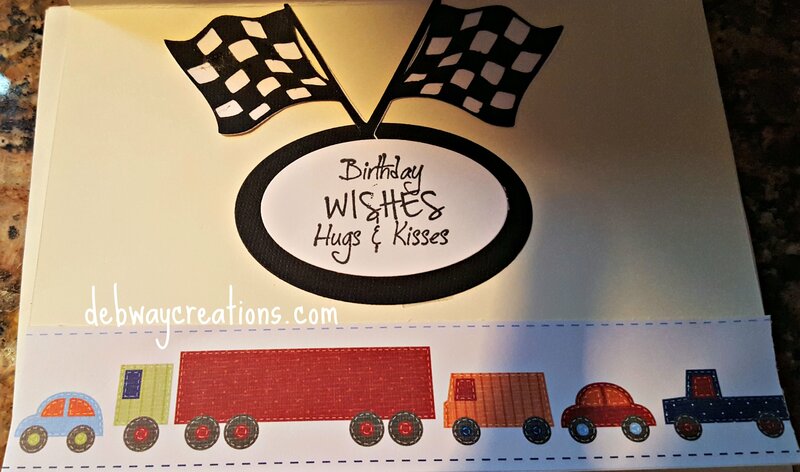 I cut both cars out at 3.75 inches. 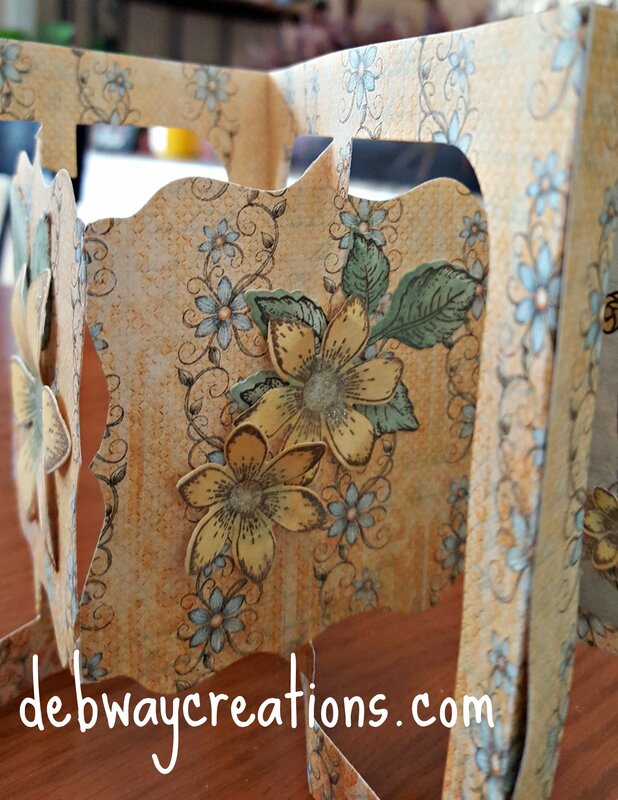 Anything smaller would have been too difficult to assemble as there are several very small pieces. 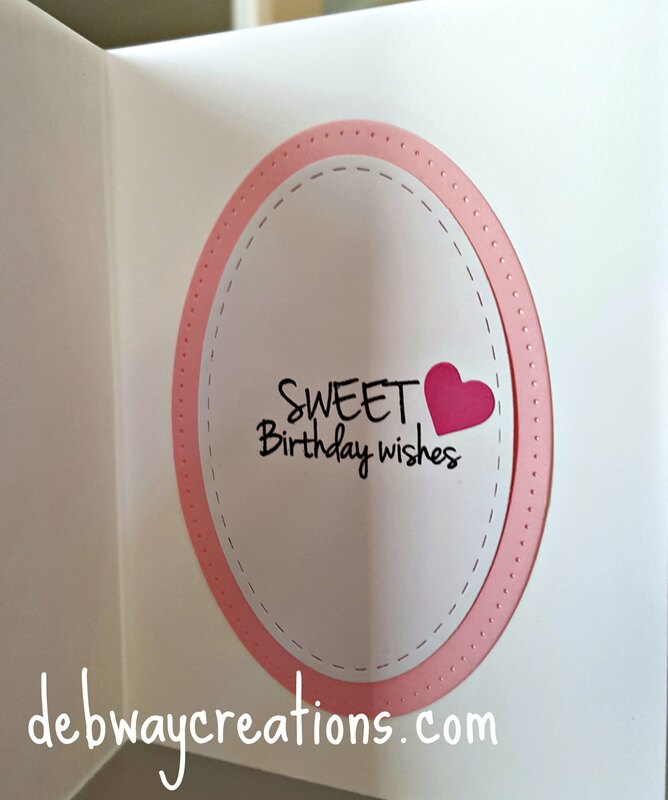 The image is measured top to bottom and was the largest measurement I could use on a 5×7 card. They are wide cars. I can’t wait to try some of the other cars and images on this cartridge. They really are cute. 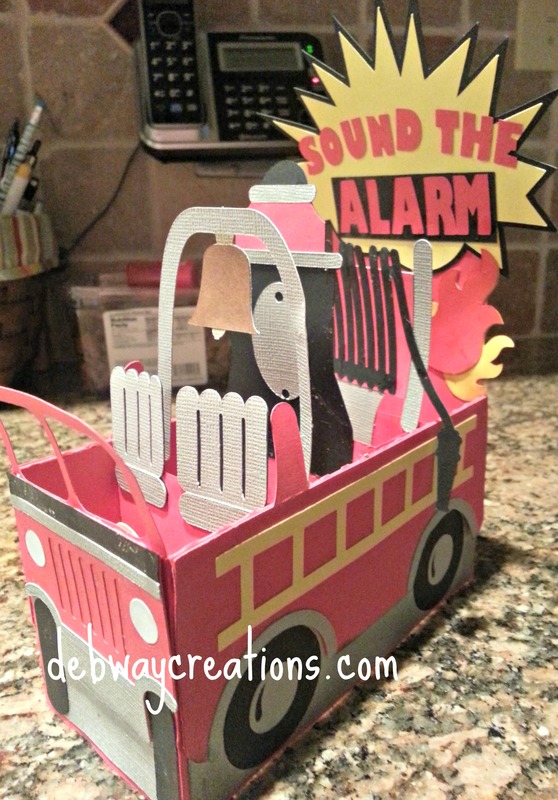 I made this Firetruck Box Card for my grandson’s 2nd birthday. It was a lot of work but worth it. 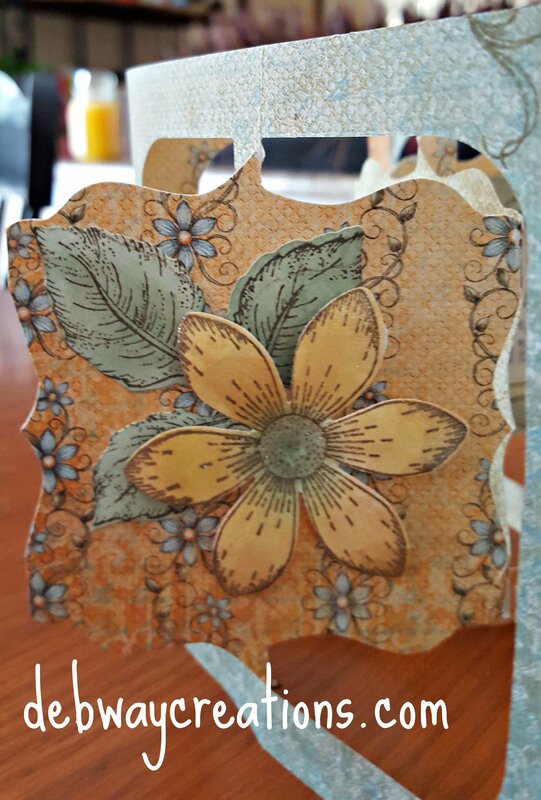 The file is from the silhouette store Design ID #62667 and there is a tutorial for you to follow. 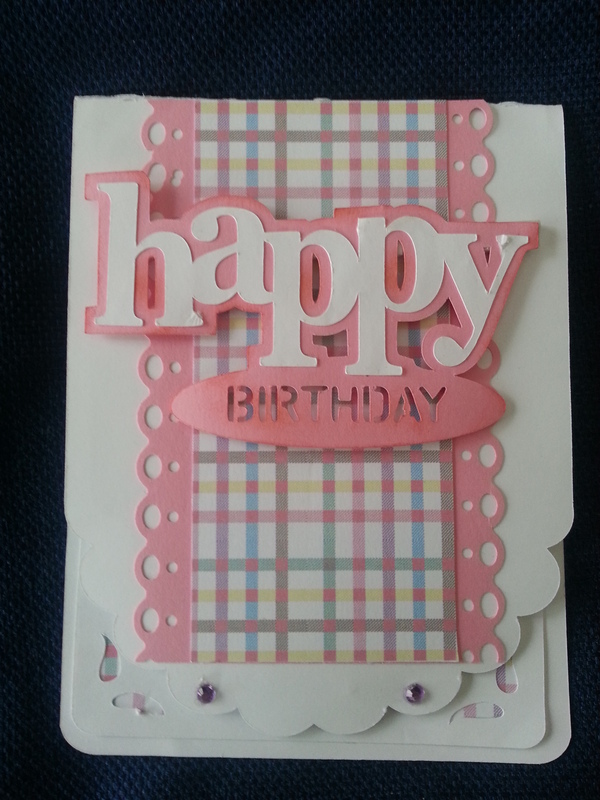 Today I made a male birthday card using the golf birthday file from Imagine That. 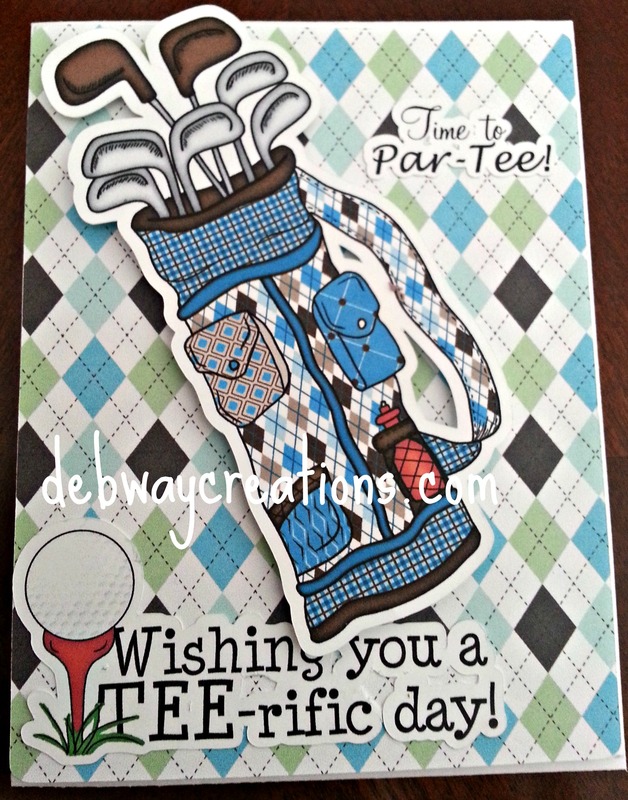 I used the print and cut feature on my Cameo for the golf bag, sentiments and paper. 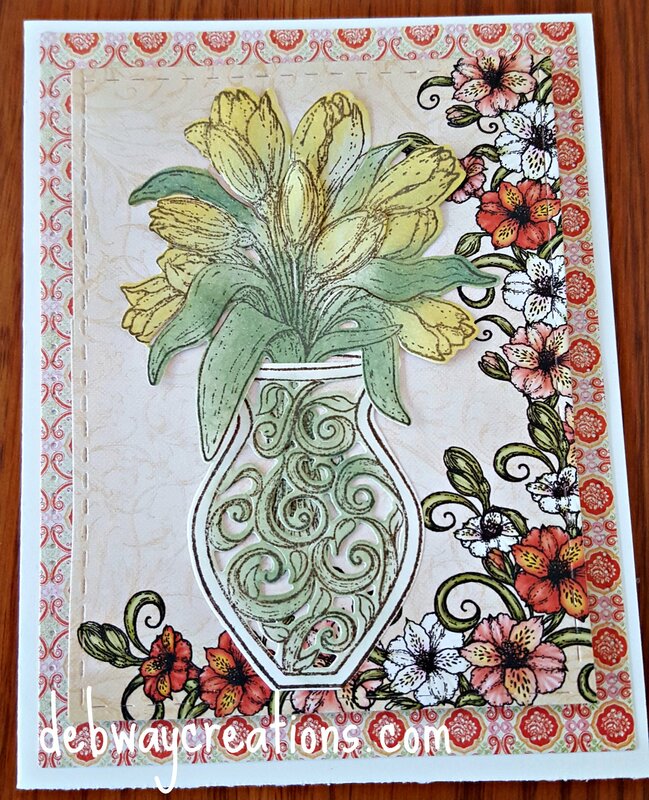 I also used the offset feature to create the white border around the images. 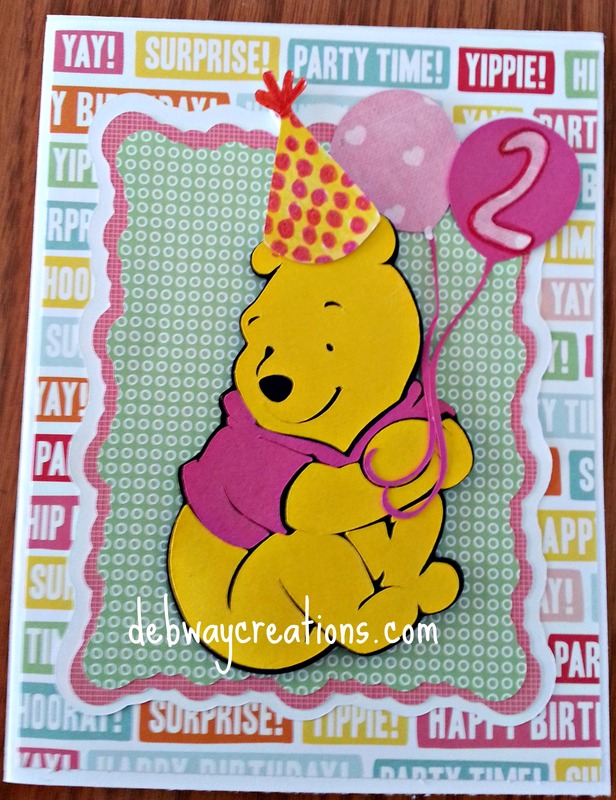 This is an A2 size card. I pop dotted the golf bag to give it some more dimension. 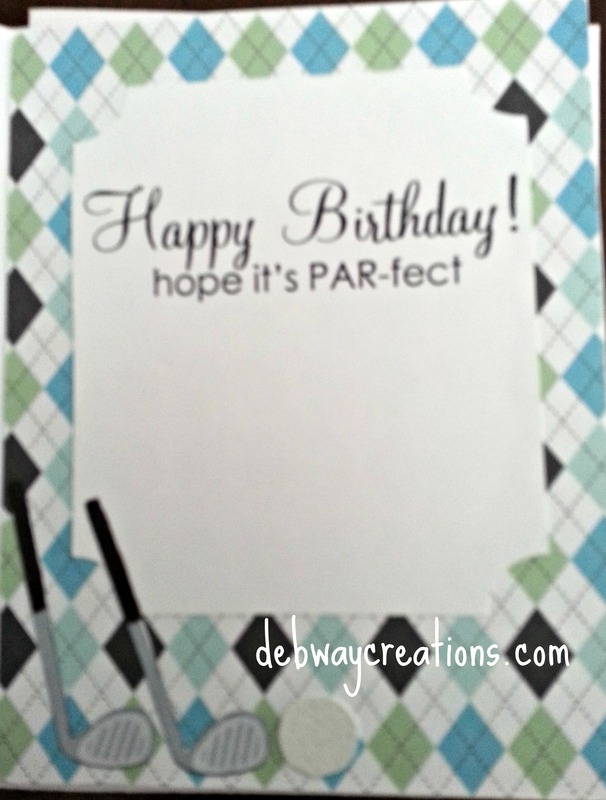 I used the same paper for the inside and added a golf club and golf ball. 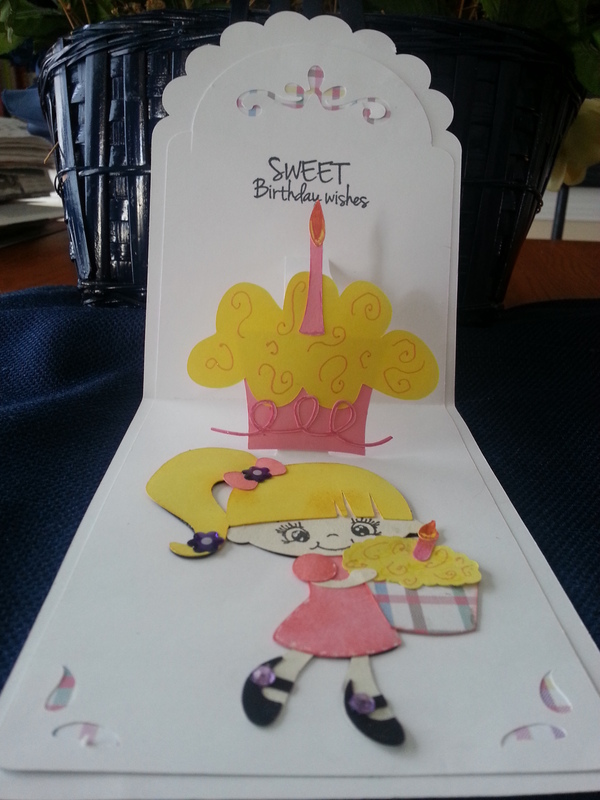 Here are two birthday cards I made for my granddaughters using the Silhouette Print and Cut feature. They both have December birthdays. One will be 5 and the other will be 2. The older one loves anything Frozen and the younger one loves the Shrek movies. 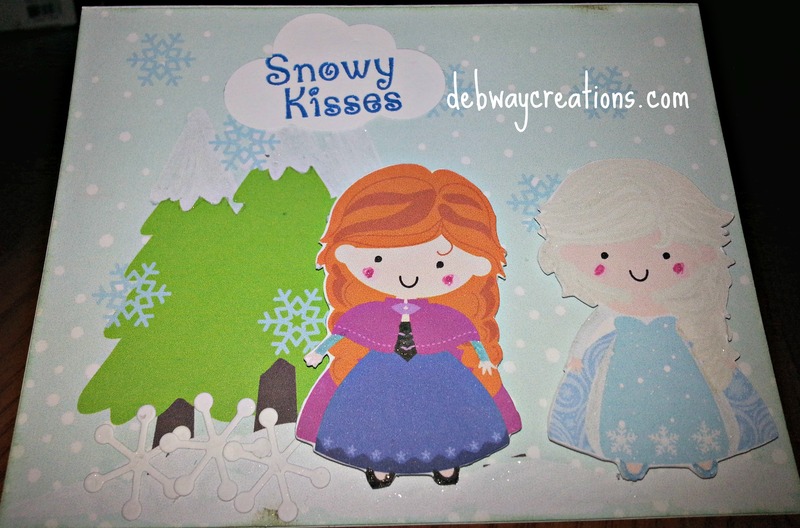 The Anna, Elsa and the castle on the inside are from the LD Ice Princess graphic set. 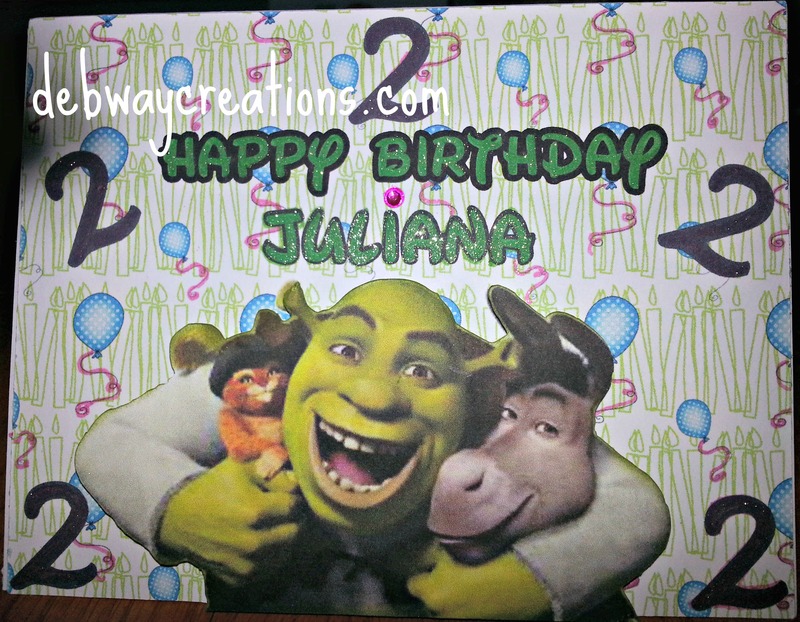 The Shrek is an image I traced. 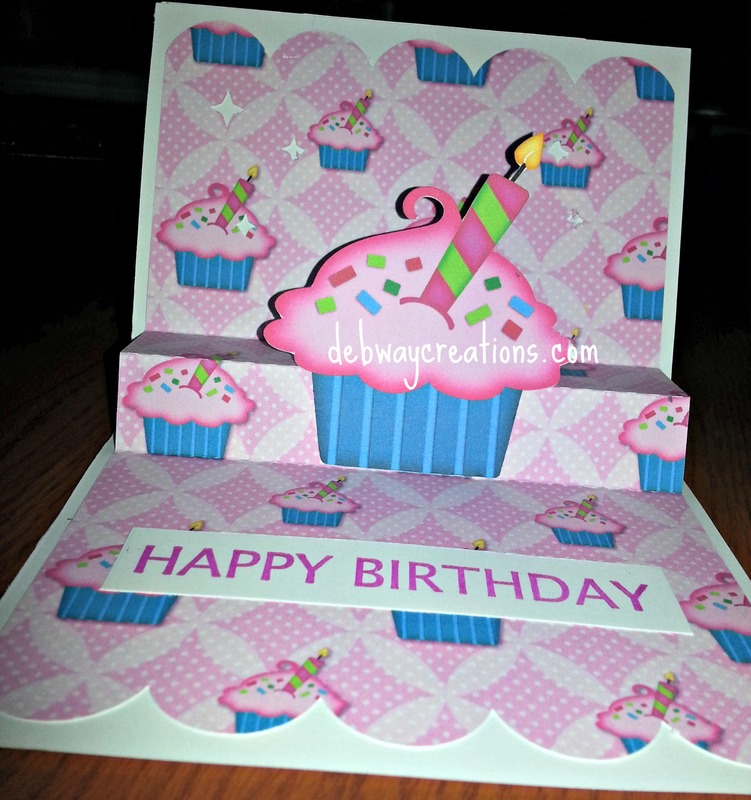 The inside paper and cup cake are Imagine That digi papers. 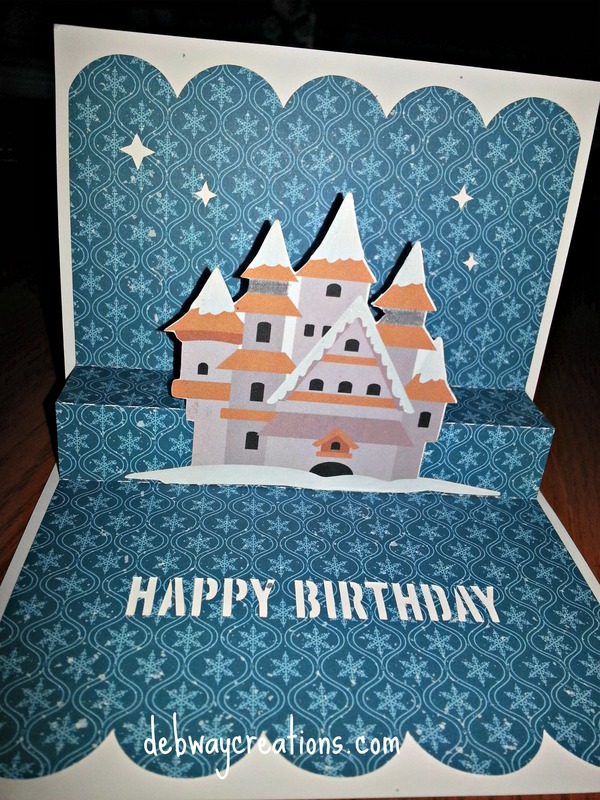 Both cards have pop-up surprises inside. 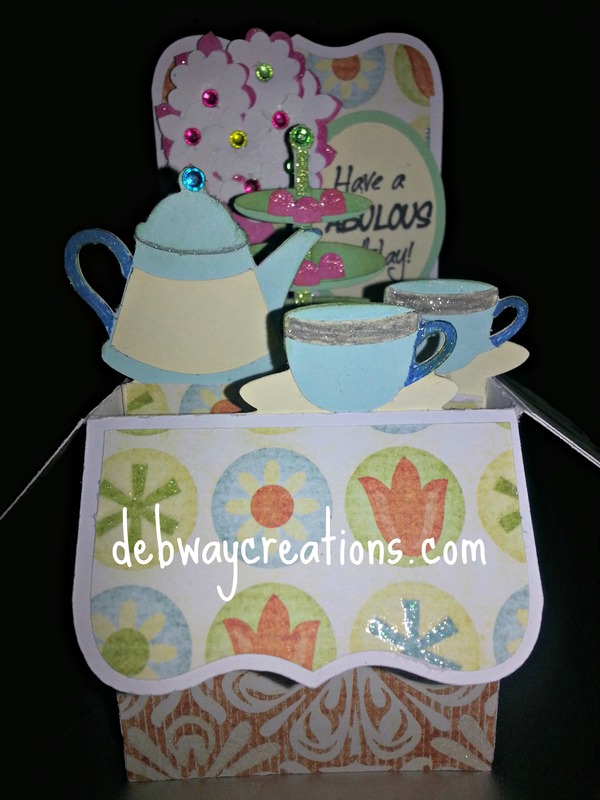 It is hard having a birthday the week before Christmas but we try to make them very special.